Terminal Union releases Making Arrangements! Terminal Union is a Cincinnati based alt-country band showcasing true roots, folk and Americana songwriting and musicianship. They formed in early 2011 as a duo with David Faul and Ian Mathieu. The two quickly won over audiences with their intelligent writing and quality musicianship. In 2012, they were joined by Lynette Mathieu (Ian's wife) on upright bass. 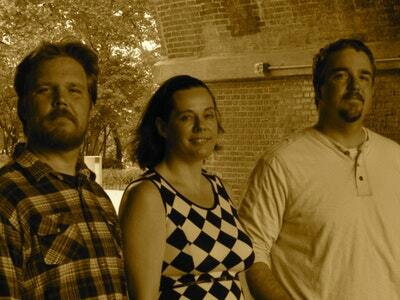 2013 saw the addition of Mark Becknell on drums. Making Arrangements is an instant classic in my book. I jumped at the chance to get to know the band a little better after getting a sneak peak at the new album. (Ian) I used to play in Cincinnati in a duo with a guy named Brad Kelly. We quit playing together back in about 01. In 07, I moved from Cincinnati down to Nashville. A little over 2 years ago, Brad called me up to see if I wanted to play with him again. I said yes and moved back up to Cincinnati. We played a few gigs together and then Brad introduced me to a guy he used to play with named David Faul. Dave and I instantly hit it off. We hung out a lot, playing songs together, sharing things we had written and even collaborating on some songs. We worked up a few originals and a few covers and did a couple open mics together. We felt like there was something very special going on, not only with what we were doing, but with what was going on in the Cincinnati folk/American scene as well. Bands like The Tillers and Josh Eagle & The Harvest City and Magnolia Mountain...They were all doing this thing that just felt right. We dug our heels in and just played together a lot. We got introduced to a lot of folks in that scene. We got turned on to places like the Crow's Nest over on the west side and found a group of folks called "Beardos" (enthusiasts of The Whispering Beard Folk Festival) who loved the same type of music we did. We felt like we had found where we fit in. 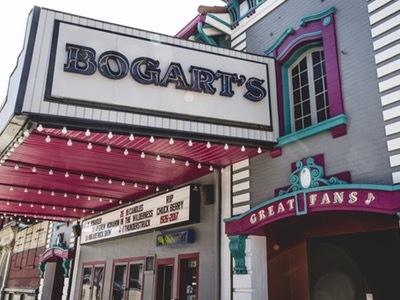 We started booking shows at The Southgate House (the old place), The Crow's Nest and a few other venues around town. At first, the band was just me & David. We did that from fall of 2011 until summer of 2012. My wife, Lynette, had expressed an interest in learning upright bass. We had played with a few other bass players in the past, but none of them "felt right". Lynette picked the instrument up very quickly and by the end of August played Whispering Beard Folk Festival with us. After that performance, we were pretty much adopted by the "Beardos" and started gaining a small but loyal following. We continued to play around town and felt like we needed to take the band to the next level, all the while, slowly recording Making Arrangements. The album was originally slated to be released in May of 2012, but since David has a studio at his house, good or bad, we had the luxury of re-recording just about everything over and over again. Well, it wasn't that bad, but almost. Anyway, we wanted to take it to the next level, so we decided to add a drummer to the mix. We knew Mark Becknell from his work with Josh Eagle & The Harvest City. We really respected Mark a lot...as a player, and as a person. It was perfect timing for him because he was looking to do some more gigging. We worked the drums into the gig, and it gave us that extra push. Mark also laid down some drum tracks on the already in progress album. Over the past few months we've been playing a few times a month, and really focusing on finishing up the record. Well, it's finally finished and we couldn't be happier. With lots of great guest musicians, we feel this record really shines. Sean Geil from The Tillers, Jeremy Smart from Josh Eagle & The Harvest City AND from Ben Knight & The Well Diggers, Scott Carnder from Hickory Robot and more, great local talent play on this album. (David) Ian Mathieu and I met many years ago through mutual friends in the Cincinnati music scene. It wasn't until a 2011 benefit concert for local musician Brad Kelly when I finally had a chance to see Ian play live. I really connected to his performance and honest song-writing that night and made a conscious decision that I would reach out to him. We shared a passion for song-writing and emotive live performance being imperative in our music. We both were fans of many of the same song-writing legends like John Prine and Townes Van Zandt. Ian was living in Nashville at the time but back and forth between there and Cincinnati. I emailed him and asked if we could get together to play some tunes for each other sometime. It was pretty much that first meeting when Terminal Union was formed. We both were big fans of each other’s original songs that night and it was obvious that the songs had new life with added instrumentation and harmonies. It was an immediate connection. Within a few months we were playing around town doing something that many people said wasn't worth the time; Playing original music in Cincinnati. Ian and I both felt strongly about letting our music speak for itself and we would gain listeners one at a time. After two and a half years we have grown to a four piece Americana band with Lynette Mathieu (Ian's wife) on upright bass and Mark Becknell (Josh Eagle and the Harvest City) on drums. 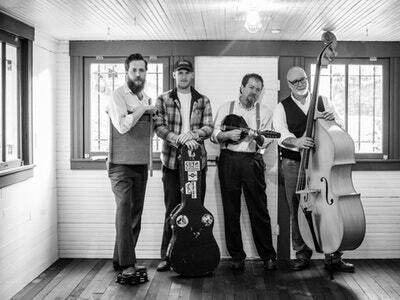 We've had the honor of playing with some of the area’s finest and most-respected original acts like The Tillers, Magnolia Mountain, Ben Knight and the Welldiggers. We've been lucky to be asked twice to play the area’s biggest and fastest-growing folk festival Whispering Beard Folk Festival in Friendship Indian. We've found that sticking to our premise of "one fan at a time" has been the right path for us. It's been an amazing journey for both of us to see the crowds growing at shows or even simply someone coming up to you and letting you know that they really felt something in your song. (Ian) I guess life, really. All these songs are autobiographical. David and I each wrote 5 a piece individually, then co-wrote 2 of the songs together. We decided to call it "Making Arrangements" because, well, obviously the musical aspect, and the fact that there are a couple death songs. But even more than that, getting back to the "life" thing, the record is really about those moments or periods of time. Whether it be a song that's about a feeling you have, a night you experience, or even if the song takes place over a period of years, these are all the things that go on in your life while you’re busy trying to figure out what you're gonna do next, or while you're Making Arrangements. Life doesn't always work out like you think it's going to. For better or worse, things change. (David) An honest, authentic need to record and share these songs inspired Making Arrangements. In addition, our fan base was growing from our live performances but that was limiting. We realized that without an actual recorded product we would be limited in our reach. We each had our own songs but we were also writing like crazy, both alone and together, during the first year of our partnership. It was one of those lucky spells where the songs were flowing for both of us. We had also been recording demos regularly in my studio and knew we had a nice sound going. It was an easy decision to embark on a legitimate recording project but it was a long road. 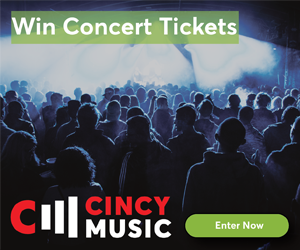 What do you love about being musicians in Cincinnati? (Ian) My favorite thing is the talent. There are so many talented folks in this town. The scene is so rich and there's always something to do...Sometimes, there's too much to do. There are many nights when I wish I could be 4 places at once. Also, for the most part, everyone is so supportive of one another. Really, it's not very competitive like it was years ago. Maybe we're all just getting older, but everyone is always so nice and willing to help out. The scene tends to support itself though. You always see the same faces at a lot of the shows; however, it would be nice to try to grow it a little more. You'd figure, with so many people living in the Greater Cincinnati area, why don't more of them come out and support this amazing thing that's going on right in their back yard? (David) I was born and raised in Cincinnati. Since my family and I moved back here from California over 10 years ago I've been lucky to play within the jazz, country, rock and Americana scenes. I feel like I've really found a home within the folk/Americana crowd. I honestly have been searching for something like this since I started with music. I'm just a singer song-writer at heart. Our group of local musicians and supporters is tight-knit, talented, original and we support each other. As an example, just a few weeks ago about 15 musicians from bands within the Americana genre all got together for a mass, live recording for a song on the upcoming My Brother The Bear album. 15 of us on stage, live recording an original song for a friend. Those are the kind of moments that make me realize the folk/Americana scene in Cincinnati is special. (Ian) Honestly, we've been so focused on releasing this album that we haven't looked much past that. We're definitely looking forward to returning to Whispering Beard Folk Festival. There's just something special about spending 3 days with a few thousand of your closest friends. We're all still writing songs and booking more gigs. That's been the beauty of this whole ride. We've really just been trudging the road, building this "thing" little by little. We definitely feel something brewing; we're just not sure what it is yet. We just try to take it a gig at a time, and try to grow this band organically. You get out of it what you put into it. We're just grateful to be a part of something so special that is the Cincinnati music community. (David) I think Ian and I both have big plans for Terminal Union. Big plans simply mean sticking to our mission of writing quality songs backed by solid musicianship and gaining new fans along the way. Believe it or not we've actually started working on our next album. I have seven new songs very close to completion and Ian is working on a handful of his own. Staying active performing is obviously a priority and we're looking forward to adding to our set list over the next year. Ian and I make a point to constantly remind ourselves that we are in this for the songs and music. If we keep following the songs we know the future is bright for Terminal Union. In the last song on the album, "Things Left To Do," the door is left wide open for us: ..."write a thousand songs for sure...take my band around the world on a three month tour..."